Dabur Vatika hair oil is coconut oil that provides natural nourishment to your hair. It has been enriched with Vitamin E &amp; 7 powerful herbs like coconut, amla, henna and lemon. Its Soya-Vita complexes boost protein retention. It provides the perfect care for promoting healthy hair and reducing hair fall. Application You can massage the oil into your scalp and hair, leave it in overnight and shampoo the next day. Or wash it off in a couple of hours. Apply regularly for best results. Health Benefits Dabur Vatika Hair oil is believed to have many benefits, some of which include: - Coconut oil is considered very good for the skin and scalp, keeping it moisturized and soft. - Reduces hair fall, strengthens hair and gives it shine and luster. - Amla or Indian Gooseberry is rich in Vitamin C and is beneficial in preventing hair loss, inflammation of the scalp and premature greying. It strengthens hair roots and conditions the hair. - Henna nourishes and keeps the hair healthy and clean by reducing dandruff, and gives it a bounce. 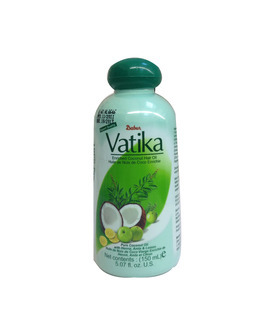 Dabur Vatika hair oil is coconut oil that provides natural nourishment to your hair. It has been enriched with Vitamin E & 7 powerful herbs like coconut, amla, henna and lemon. Its Soya-Vita complexes boost protein retention. 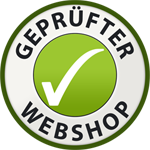 It provides the perfect care for promoting healthy hair and reducing hair fall. - Coconut oil is considered very good for the skin and scalp, keeping it moisturized and soft. - Reduces hair fall, strengthens hair and gives it shine and luster. - Amla or Indian Gooseberry is rich in Vitamin C and is beneficial in preventing hair loss, inflammation of the scalp and premature greying. It strengthens hair roots and conditions the hair. - Henna nourishes and keeps the hair healthy and clean by reducing dandruff, and gives it a bounce.